Decades of stealth attacks haven’t just weakened Britain’s National Health Service — they’ve made it harder to criticize its shortcomings. The day before Christmas, the UK environment secretary Michael Gove received a panicked call from his fourteen-year-old son, having fallen through a window at home after tripping over a Christmas tree. The boy’s injuries and blood loss were dealt with “kindness and professionalism” by the trauma surgeon at the Chelsea and Westminster hospital, the Conservative minister tweeted. The tone of slight surprise amidst the gratitude is common among those who rarely use the National Health Service (NHS), and notably absent from Gove’s statement was any reflection on how Tory austerity has impacted the NHS’s ability to meet targets and deliver adequate care for people with both critical and chronic conditions. A few days before Gove Junior’s accident, I was in the resuscitation unit of St Thomas’s hospital, a twenty-minute drive away, directly across the Thames from Parliament, hooked up to a heart monitor, an oxygen mask, and multiple drips. Earlier that day, the cab driver booked to take me to a TV appearance left his car to chastise me for being late, and found me collapsed unconscious outside my apartment, covered in blood after an epileptic seizure, and called an ambulance. The producer alerted my colleagues, who in turn told my friends, leaving them to spend hours calling the emergency departments of every hospital in the vicinity until eventually my name showed up in the IT system. The consultants told them I was likely to be discharged the following day but would need to be accompanied home: the hospital promised to let them know a rough discharge time. That call never came: with a shortage of beds, the doctors rushed to discharge me, still confused and with no memory of the previous day, and with no coat, wallet, or house keys. With phone calls unreturned, my friends turned up on the off chance I might still be there and luckily arrived just in time to collect me with a fractured skull, and a swollen tongue I’d bitten through in multiple places over the course of repeated seizures. Dealing with the NHS on rare and extreme occasions reminds you how miraculous the service can be, especially when circumstances are life-threatening. The panoply of tests booked for me after admission, including an MRI and an electroencephalogram won’t cost me anything, nor did the paper bag full of medication the pharmacy dispensed. Friends with epilepsy in the US genuinely fear a concerned passerby could land them with a huge bill by calling an ambulance if they have a seizure in public. I spend far more time than the average citizen in hospitals and my local GP surgery, but am not expected to pay more than someone who visits the doctor once every few years. A government issued card means my prescriptions are all free, since skipping even a day of anti-seizure meds could be life-threatening. But greater exposure to the functioning of the UK health system also reveals the growing cracks in the infrastructure and standard of care. Figures released on January 10 show NHS performance against recommended waiting times is at the worst level since records began, with 18,000 suspected cancer patients waiting longer to see a consultant than national prescribed timescales. One NHS trust in Oxfordshire was so low on nurses, they announced they were considering rationing the amount of chemotherapy patients receive. Waiting times for appointments at doctors’ surgeries are routinely several weeks: emergency appointments are usually available on a first come, first served basis on the day, but for most people in low-paid work or on insecure contracts skipping a day’s pay in the hope of securing an appointment isn’t an option. Emergency departments warn this has led to an increase in admissions, and the complexity of cases as people are unable to access preventative care and risk worsening symptoms. The state of mental health care, especially for children, is a national catastrophe, with talking therapies in scarce supply, police warning they are left to respond to suicidal and seriously ill patients who should be dealt with by the NHS, and the use of police cells to harbor patients in acute crisis because secure beds aren’t available in hospitals. The seventieth anniversary of the NHS in 2018 was met with widespread praise for the benefits of the system, compared to the piecemeal and unaffordable system that existed before Aneurin Bevan rolled out the socialized system. The fondness British people feel for the NHS is fervent, bordering on cultish: most people will, like Michael Gove, use the NHS rarely and in extreme circumstances, and feel unhappy criticizing the standard of care they receive. The reasons are twofold: patients in the UK are acutely aware that compared to countries like the US without socialized health care, our situation in cases of illness could be so much worse; but also, with the health system under repeated attack for underperforming by the very politicians and ideological fellow travelers starving the NHS of funding, the urge to defend the system in spite of its faults is natural. That carries political risks, however: the people most likely to use the NHS are the poorest, either because long-term disabilities have hampered their efforts to work without social security support, or because life expectancy, and health in general, plummets with social class and standing. For decades, life expectancy in the UK generally rose; since austerity, for many people, the number of excess deaths — especially amongst poorer women of pensionable age — has risen, and life expectancy has fallen in many working-class areas. There were 50,000 excess deaths in the winter of 2017, up 45 percent on the year before. The NHS in Wales has been in crisis for years, faced with swinging cuts and long-term poor health among people in the postindustrial regions of the country. Academics have warned that austerity, public health cuts, and poverty were responsible for life expectancy falling among women and men in Wales and Scotland, and stalling in England and Northern Ireland. The political conversation around the NHS tends to remain limited: Ed Miliband’s infamous doomed “Edstone” promised the mollifyingly meaningless of “an NHS with time to care.” The Conservatives announce occasional funding injections to hide their real-terms cuts to money spent on health and mask the fact that public health budgets have been decimated, thanks to the poorest local councils being hardest hit by central government austerity cuts. To win over voters, Labour can’t rely on a mawkish tendency to hark back to the foundation of the NHS: the entire system needs overhauling, and restructuring. John McDonnell has started part of this process: the promise that ruinous Private Finance Initiative contracts would be scrapped under Labour is welcome — PFI under New Labour allowed outsourcing firms to plunder the NHS with little risk, and enabled privatization by the back door in many respects. But the NHS has always underperformed on preventative health care, leading to the current problem, whereby hospitals are in permanent crisis mode, treating patients when they are already extremely sick, rather than catching illnesses earlier, or supporting life choices that can combat heart disease, bronchitis, and asthma, and all manner of preventative and potentially deadly illnesses. But the NHS is also a workforce: everyone you see in hospitals, ambulances, or doctors’ surgeries is overworked and mostly underpaid. The doctors’ strike of 2016 shocked the government doubly, both in terms of how many junior doctors were willing to walk out due to discriminatory contracts, but also by the depth of public support for their cause. The public are much happier for money to be spent in the NHS if they understand it will not just improve their care but show respect for those administering treatment. 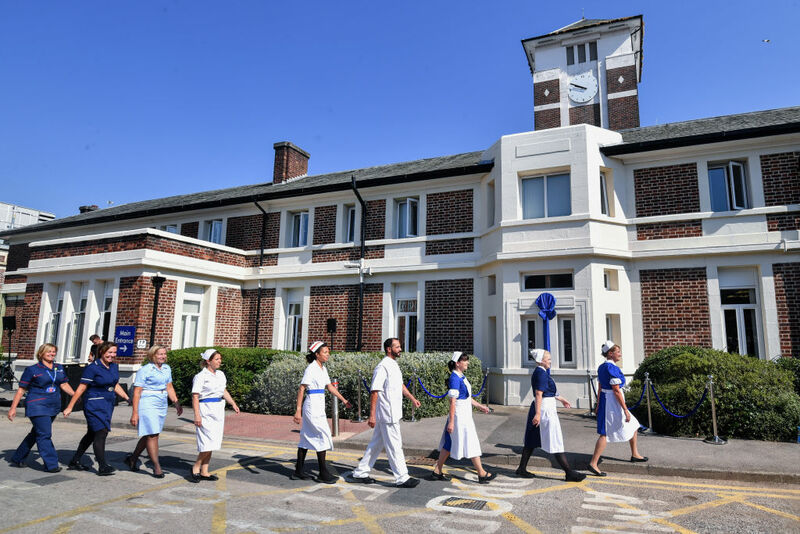 More than any other workforce, the NHS relies on migrant workers; the rate of training a replacement workforce has not kept pace with retirement rates in the health service. Scapegoating migrants for the pressure points in the NHS, as the Right have done, in turn decreases the likelihood workers choose the NHS as a possible workplace. Defending freedom of movement is crucial for a functioning health care system in the UK. If you find yourself, thanks to a freak accident, in the emergency room with a gaggle of doctors swiftly ensuring your injury will be short-lived, and heal, it’s comforting to be reminded that the NHS is there when you need it. You think about it rarely, it barely enters into your mental political priorities when voting, and life goes on. When your reality is different, when you, friends, or family are regularly ill, and faced with the tedious reality of health cuts and inadequate care due to your postcode, it’s far easier to feel alone and excluded by a culture that silences criticism of the NHS. For Labour to succeed, they need to be particularly radical on the NHS: maintaining the core principles, and free care, but widening its core mission, and treating the workforce with more respect.